In 2016 Yoshinori Ohsumi won the Nobel prize for his work on Autophagy. Autophagy, a greek term for self eating, begins when the bodies glycogen levels are depleted approximately 12-16 hours in to a fasted state and is best described as the body taking away and mending the bodies damaged cells. If we’re not careful here we might be guilty of thinking this thing is another diet fad. All the hallmarks may be easily identified – weight loss with relative ease, scientific mumbo jumbo and beautiful people in Colarado getting younger before our eyes. Last week waif like Hollywood stars were eating nothing but rhubarb and naming their children after it. This is the problem with media today. You couldn’t blame anyone for categorising intermittent fasting with so many other fads. However, in this case you would be wrong and if we take a minute to apply some basic common sense we can see why. We didn’t evolve to eat food 24/7. To have a fridge downstairs and a supermarket on the high street. Our ancestors would have to search for something to eat, make a fire. In this way they could go for days without eating, while the stomach was empty the body would repair all the damage, feeding off all their excess fat and enabling them to think more clearly, stay strong and tackle that sabre toothed tiger. Think about it, you’ve never seen a caveman with love handles have you? Today, we call the process of DNA breaking down ageing. Food is now so plentiful that we don’t stop eating from morning to night. Our gut bacteria is stripped by a cocktail of chemicals that our body doesn’t know what to do with. 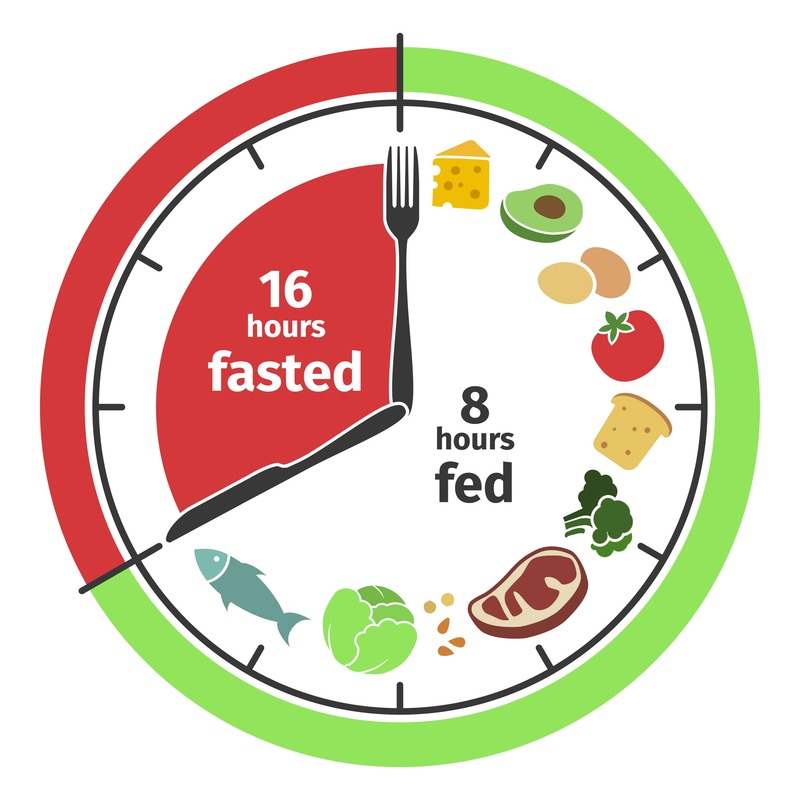 Several studies have now been carried out on intermittent fasting and calorie restriction by very reputable people and the findings are staggering. If we decide to allow our bodies to concentrate on something other than digesting food, fasting is proven to lower the risk of neuregenerative diseases such as Alzheimer’s and Parkinson’s, reduce obesity and protect against diabetes. It is so good is so many areas that if it could be sold as a pill and marketed to make millions by a pharmaceutical company it would be a wonder drug. Fasting really does have the capacity to have staggering effects on society and at a cost of nothing. It is almost as important as the bacteria in our gut, but, don’t get me started on gut health…..